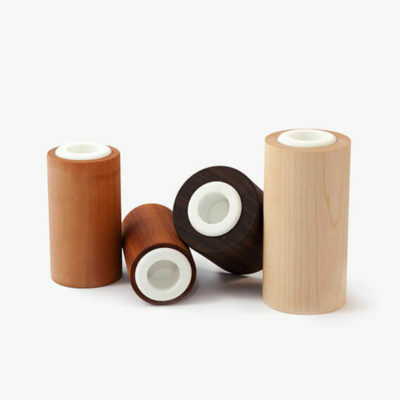 made of maple brings along with walnut, plum and pear three of the most colorful woods from their neighborhood. 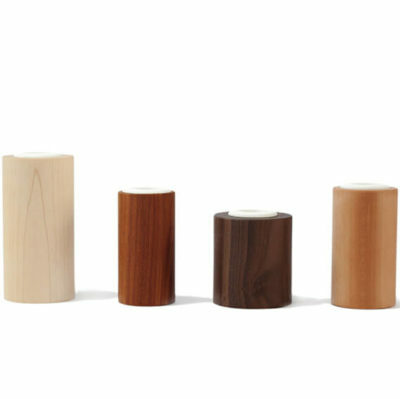 This candle holders set is a colorful quartet in decent shape with a clear focus on the impressive natural color spectrum of the woods. Tip: Try to equip the four different candle holders with four different colored candles. This looks quite extraordinary. Are you excited by this terrific lumbers like we are? Then do not miss to take a look to the candle holders DESSERT FRUITS.